Northeast Florida foreclosure watchers keep their eyes trained on the local market filings, but also stay aware of the national trends as a signal of what might be coming down the pike. Across the U.S., by the end of November there were nearly 112,500 foreclosure filings, which amounts to one out of every 1,170 homes. Get pre-approved: For anyone who wouldn’t be ready with cash in hand, when foreclosed homes are in the cross-hairs, it’s really imperative to have advance bank approval. When a good Northeast Florida foreclosure value comes up, you need to be ready to act immediately. About 60% of foreclosed homes are financed—and pre-approval is the way to prevent a cash buyer from swooping in ahead of you. Find a qualified real estate agent: A competent agent—one experienced in dealing with Northeast Florida foreclosures—does more than just put you ahead when it comes to the underlying values of homes in the area. Your agent can point out issues others may have overlooked with certain properties, help you navigate local procedures and red tape, aid with inspections, etc. Focus on REO properties: Northeast Florida REO properties are foreclosed homes that have already gone through the foreclosure process completely, and are now owned by the lender. They are typically vacant, and are sometimes priced to sell since banks are incented to get them ‘off the books.’ It’s not universally the case, but REOs can be more straightforward to deal with than auctions, pending foreclosures, or short sales. 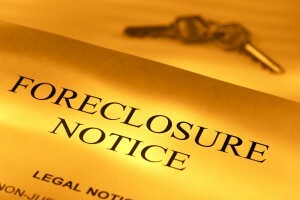 Check things out thoroughly: Foreclosed homes often are in need of repair. Since lenders sell them “as is,” prudent buyers know to identify any major faults before making a buying decision. Good foreclosure inspectors will have a generator and other equipment available so they can test all of a property’s major systems. Check for liens: A foreclosed home can be burdened by pre-existing liens from utility companies, municipalities, and unpaid contractors. Knowing about them early helps estimate the total true value (and ensure they won’t cause your deal to fall apart). Buying an Northeast Florida foreclosed home can offer immediate value and equity to those who are prepared to make sophisticated inquiries. I offer my clients the kind of experienced teamwork that makes that happen!